Puerto Rico Jet Charter is based in South Florida, and our hometown private jet charter team is the perfect way to fly private to Miami from San Juan, Vieques, or anywhere around the world! 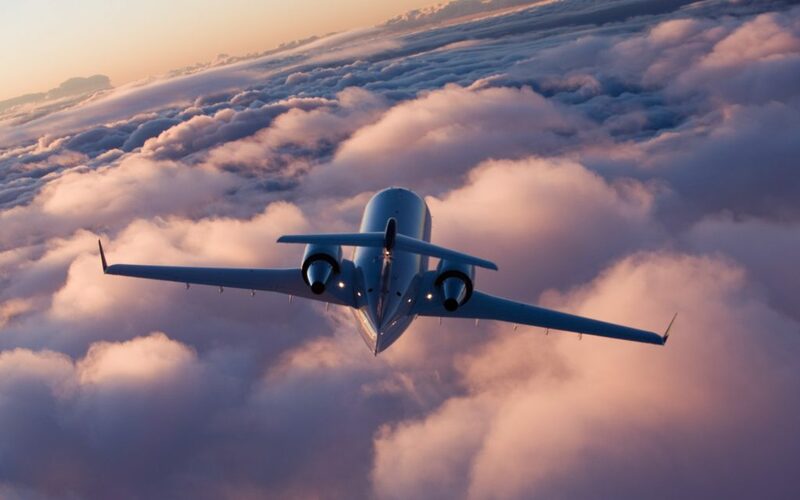 We’re not limited to just private flights, either: we can connect private flyers to jet cards, private planes for purchase, and aircraft management and charter marketing in Miami or wherever you’re located around the globe! Private flights to Miami have 3 main airports to choose for their arrivals: Miami International (MIA), Opa Locka Executive (OPF), and Miami Executive (TMB). Jet charters may also be arranged to arrive at airports in Fort Lauderdale, West Palm Beach, Naples, and the Florida Keys to reach any area of South Florida. Enjoy instant access to island-hopping turbo-props; comfortable midsize jets including the Cessna Citations, Hawker 800s or Challenger 300/350; long range jets including Falcons, Globals, and Gulfstreams, whether you prefer the number 4, 5, or 6. Corporate, regional, and VIP airliners are also available for executive offices, sports teams, and group charter flights to conferences, games, and special events around the world. Give us a call at 1-888-987-5387 (JETS) for the latest hourly rates, pricing, and availability on Miami private jet charter service. South Florida is home to one of the busiest regions for aviation in the United States, serving the gateway to Latin America while also handling business jets flying from New York, Daytona, Chicago, Las Vegas, and more. The following are the most popular choices, including the 3 main private jet airports available for your flight to Miami There are dozens of additional airports scattered across South Florida. Check our addition airport section for more details. When you request a quote for a charter flight to Miami with our Wyvern-certified jet charter brokers, you’ll gain instant access to a global network of private planes, including turboprops, private jets, and regional/VIP airliners. Our brokers aren’t limited by any particular fleet, nor do we answer to aircraft owners/operators. We only answer to our clients. With more than a decade of experience in the private aviation market, we’re able to locate the best plane at the right cost, including empty legs and transient jets. We review third-party audits to confirm that each plane, pilot, and operator work with meet our industry-leading safety standards, and our due diligence processes mean you can gain peace of mind knowing you’re working with the most transparent jet charter company in the business — we never cut corners and sacrifice safety, quality, or comfort by working with questionable aircraft, or pilots with limited flight experience. Our clients want the best private jet charter experience possible, and we deliver. Provide us with the details of your flight, and we’ll locate aircraft options that suit any budget. Please note the availability for aircraft listed below is based on scheduling, routing, and many additional factors. The international gateway to the Americas, Miami is one of the top tourist destinations in the United States, and a major center for commercial and private aviation. The surrounding areas of South Florida are also incredibly popular for spring break, summer vacations, special events and more. Visitors fly from all corners of the world to experience Florida’s tropical playground. Luxury travelers can enjoy sunny beaches, lavish 5-star beach resorts and exciting nightlife; Art Basel, Ultra Music Festival, and a variety of world-class culinary/food/wine festivals, cultural events, and year-round conventions add more to its allure. South Florida, mainly Fort Lauderdale, is known as the “Yachting Capital of the World”, home to some of the largest yacht and watercraft manufacturers in the world, and an incredible dense marine industry. Stop by a few local yacht clubs or take a stroll along the intracoastal, and you’ll quickly see why. The city’s port is also a major hub for the cruise-line industry. Carnival and Norwegian operate terminals out of the Port of Miami, and many clients charter flights across the country to get a luxurious head-start on their Caribbean getaways. If you’re flying private to connect to a cruise line, commercial flight, or for an extended stay at a second home, empty leg jets can potentially reduce the cost of your charter by up to 50 percent or more! Call our Wyvern-certified jet charter brokers to discuss all of the airport and aircraft options for your private jet charter Miami, FL. Depending on where you’re flying in South Florida, there are dozens of airports to land you closer to your destination. From Palm Beach down to the Florida Keys and back up to Naples and Ft. Myers, private jet travelers can arrive at any of the following airports. Request a quote by giving us a call at 1-888-987-5387, or send us an e-mail with any questions about private aviation in South Florida. Our private jet charter Miami brokers can arrange your flight to/from Miami with services extending around the world. Available 24 hours a day, we offer free, non-committal quotes for jet charter flights anywhere in world.